Probably have you heard or at least are familiar with the story of St George and the dragon. The story has many versions and sounds like a typical fairytale story. It wouldn’t be a surprise If inspirations from the story of St Georges was taken to the storyline of Disney’s movie “Sleeping beauty”. 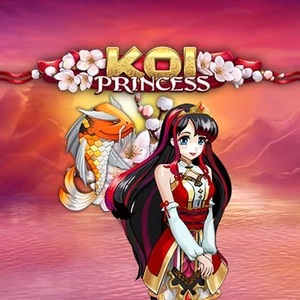 There are several similarities both with princess, prince, white horse and the main character – the dragon. In Europe during the middle age a dragon was a symbol for the devil. The story about St George and the dragon starts with a dragon terrorizing a small town called Libya. The dragon was said to poison the countryside and bring death to the small town. To satisfy the dragon who lived in a lake nearby, the population of the town decided to do sacrifices. They started with the farm animals such as sheep but soon they ran out of sheep. The only choice left was to sacrifice the children of the village which they did. Soon it was time for the Kings daughter to sacrifices to the dragon but the King wouldn’t let that happen. The time was running out without a sight of a knight but then St. George heard the story. He was willing to give it a try and rode day and night to get there in time. St George made it and was just in time to see when the princess was on her way to the lake. The dragon is said to have been over 50 feet long and have a scale so hard it broke St Georges spear. It was a typical European fire breathing dragon with a green colored skin. However, since this was story was taking place for so long time ago the story has a lot of different versions. Including divided opinions whether the dragon was living in a cage or in a lake. One more divided opinion is how St. George killed the dragon. One version say the dragon was killed by St George near the cage while another version tells St. George brought it back to the city where it got killed. Different stories but the same ending with the dragon getting killed and the prince rescuing the princess. You might have seen paintings and statues of St George sitting on a white horse while he pierces the dragon with his spear. After St. George killed the dragon he was named as the Saint of England. 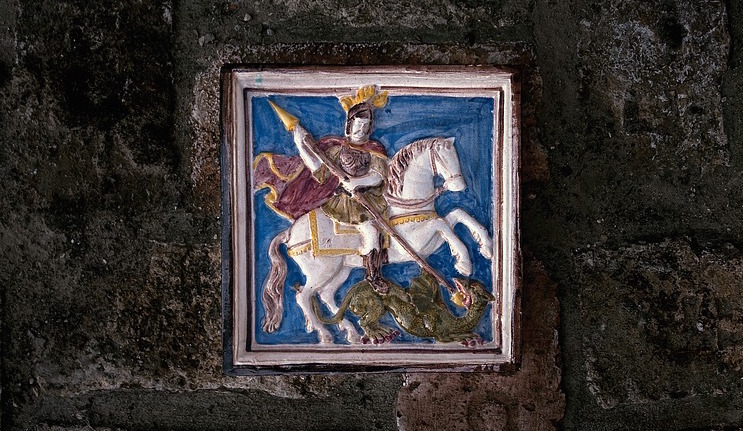 Why the villain was a dragon is hard to answer but statues and paintings are found from earlier than the 12th century showing a knight on a white horse slaying a dragon. Another interesting aspect is that in this story of St. George the dragon sees as an evil villain. As mention before the dragon was associated with the devil and Satan during this time. But looking a bit earlier in the history when the first humans boarded England. We find out that England, in the beginning had a flag with a dragon. It was used during battles and as the country’s coat of arms. The interesting in this is when you are looking at the founders of England. It was said the flag and symbol of the founders was a white dragon on a red background. The white dragon is called the English dragon and is still seen as the emblem of Wessex. Compare to the story of St. Georges the white dragon symbol doesn’t have any history before entering English ground. The white dragon was worn by King Alfred the Great while he was defeating the Viking army. It has nether any religious connections but the symbol belongs to Anglo Saxon Jutish origins. 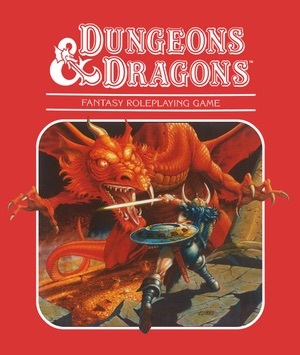 There are some stories mentioning two dragons, one white and one red fighting against each other in a den. The two dragons represent the war between England and Wales. 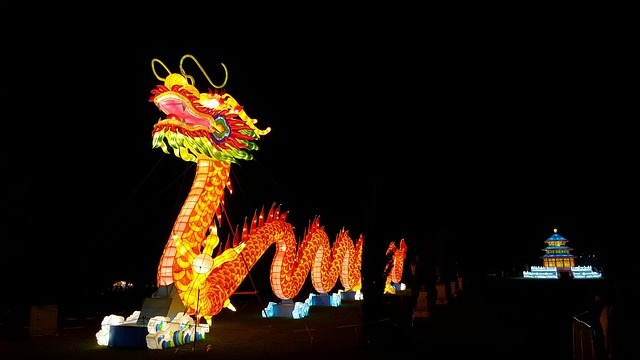 The white dragon is said to be English and the red one is representing Wales. In another story the legendary wizard Merlin is mentioned and from reading the story he gets to witness a fight between a red dragon and a white. In the story of Merlin the red dragon defeat the white dragon. Nowadays you can still see flags with symbols of dragons in England. Especially in areas where Anglo Saxon people live in. Wales still have their red dragon in their flag and it is often used from the government and other public services. Some people want to bring back the white dragon flag since it represents the Englishness better than the St. Georges flag. England is referring to the name “Three lions” nowadays. In the coat of arms there are a lion holding the emblem together with the unicorn of Scotland. There are no sign of any dragon and maybe it will continue to be so or maybe the population get what they want.